The President of the High Court has said defective procedures for recruiting doctors represent a danger to patients. Mr Justice Peter Kelly has directed that his observation, contained in a judgment ordering the suspension of a junior doctor, be communicated to the Minister for Health and the HSE. The doctor was suspended from practising after other doctors raised serious concerns about him lacking basic medical competency and being a danger to patients within days of him starting employment in a maternity unit. The doctor graduated from medical school in an east European country in 2015 and said he was never taught how to examine a pregnant woman, the court noted. The suspension order was sought by the Medical Council and granted by the Mr Justice Kelly to protect the public. It applies pending a fitness to practise inquiry into complaints by two obstetricians about his work. Mr Justice Kelly said such issues were not "isolated" and he had encountered other cases where registered medical practitioners "with little knowledge of the basics of medicine" were nonetheless recruited to work in Irish hospitals. He said his judgment, which expressed serious concerns that "defective" recruitment and interview procedures had led to the employment of persons "wholly unsuitable for appointment and an obvious danger to patients", should be sent to the Minister and acting HSE chief executive. 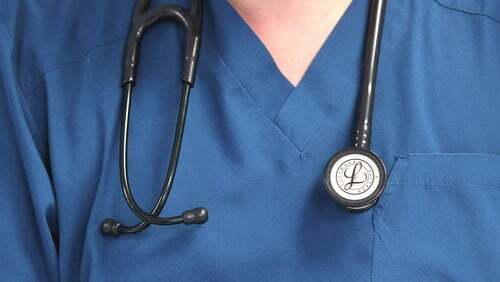 The judgment noted that the doctor had never previously worked in any paid capacity in any other hospital anywhere and two consultants said he did not meet the "most basic" standards of competence of doctors practising "at this very junior level". Some of his junior colleagues said they witnessed "wild" clinical assessments by him, made without taking any history or examining a patient. The application for the order was heard and granted in private last month but the judge directed his judgment be made public on condition the doctor is not identified. The doctor had attended an earlier meeting with the Medical Council but did not attend the court hearing or provide sworn evidence. The judge said the doctor was recruited despite never being registered to practice medicine in the country where he received his medical degree or in his native country. While he had self-described himself as having been a senior house officer in a UK hospital, a letter from the NHS made clear he was merely an observer in a department of medicine and was to have no hands on contact with patients. The doctor said he applied for every SHO job on the HSE website but kept getting replies saying he lacked experience. He was eventually shortlisted for an interview and started working in an Irish hospital earlier this year. Within days of starting his job two consultants raised concerns about his basic competencies, including history taking, taking blood tests, insertion of IV cannulas, how to prescribe drugs and knowledge of drugs. As a result, he received an oral warning and was directed not to prescribe drugs and to work only under supervision. Mr Justice Kelly said matters did not improve and complaints were made by the two obstetricians to the Medical Council. The consultants alleged, among various complaints, the doctor did not know about basic management of eclampsia, struggled to list the causes of a post-partum haemorrhage and had said a pulmonary embolus would be treated with aspirin. It was also alleged a supervisor found he had given a diagnosis of implantation bleed to a woman at 35 weeks gestation with placenta previa. The doctor had told the Medical Council he made clear when interviewed for his job that he lacked experience and had only held an observership role in the UK. He also said he was nervous and overwhelmed when asked by the consultants here about his medical knowledge. He added there were "gaps in my training" but he was still studying and going to courses. Mr Justice Kelly concluded the public interest required that the doctor be suspended from practice pending further order. The judge wondered how the interview panel could have awarded him 55 out of 100 marks for clinical medical and diagnostic skills when his lack of those "was so obvious within days of his coming to work in the hospital". He also wondered how the interview panel concluded the doctor was "short on experience" when he had "none at all". The panel had described him as "eager to learn", he said. "But learn at whose expense?" he asked.